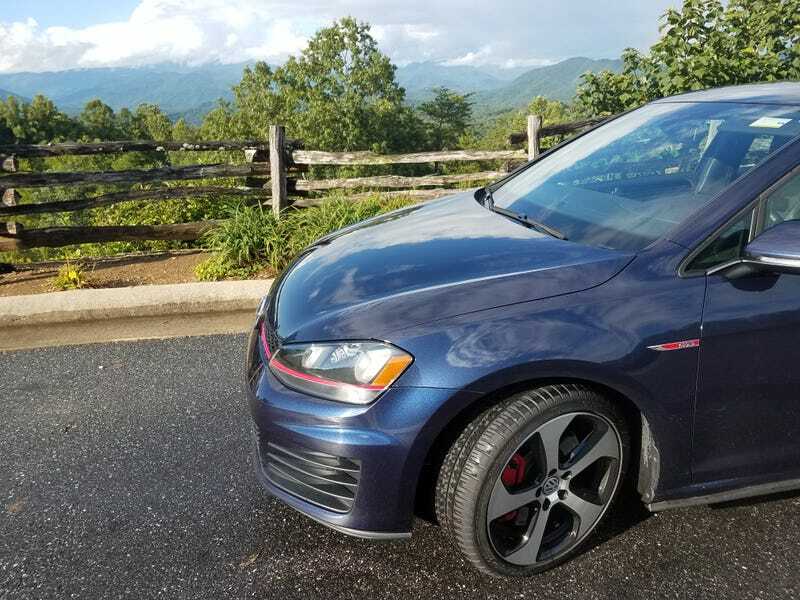 Not only is the Oppomeet at the Tail of the Dragon over, but as I finished the trip, so ended my bumper to bumper warranty, after 36,000 miles on the GTI. Both were good while they lasted. Our crew had a nice mix, and we enjoyed getting to know each other a bit over meals. Donny has a lot of interesting stories to tell, the kind of lengthy experiences that could be captured in a written post but are better being told in person. And Josh 86 has had interesting vehicle experiences, but is pretty quiet about them. Glad he was in the right place at the right time to join us instead of spending the day in a boat. We ran the Tail of the Dragon and also the Cherohala Skyway, which I liked a lot. We saw lots of motorcycles, some riders better than others, some with more farkle than others. Thanks to Ike for getting us together.